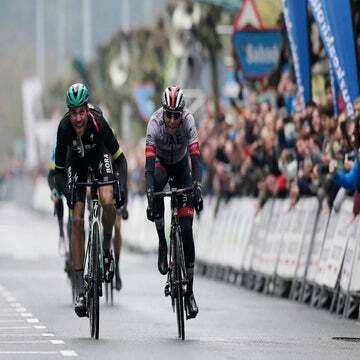 “Sprint” stages take on a different color at the hilly Vuelta al País Vasco, which opened Monday in typical fashion with no less than four third-category climbs in a circuit course around Gueñes near Bilbao, Spain. A two-man breakaway featuring David de la Fuente (Caja Rural) and Davide Mucelli (Utelnsilnord) were duly reeled in ahead of the final climb with 13km to go. 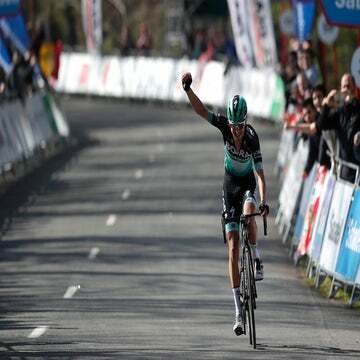 The reigning Spanish national champion squeezed past Wouter Poels (Vacanansoleil-DCM) and Fabian Wegmann (Garmin-Barracuda) to take the flowers as well as the first race leader’s jersey of the six-day Basque tour. 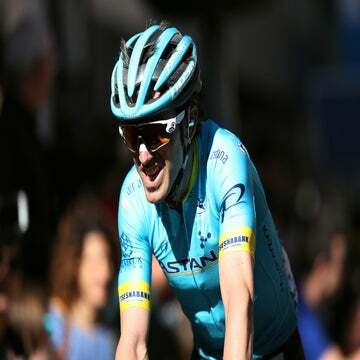 Rojas, who has been slowed by crashes and illnesses, notched his first win of 2012 after showing off some climbing legs to follow the attacks late in the stage. Pre-race favorite Samuel Sánchez (Euskaltel-Euskadi) finished safely in the front group that also featured Ryder Hesjedal (Garmin), who crossed the line sixth after helping to launch teammate Wegmann. The 2012 Basque Country tour continues Tuesday with the second stage from Gueñes to Vitoria. The 165km route includes six rated climbs, including two second-category climbs early in the stage that should provoke the day’s main attacks. The sprinters will need their climbing legs again.